Sitting squarely in the middle of the East River in 1637 was a lush, green island that the Dutch called Varckens Eylandt, or Hog Island. That year Governor Wouter van Twiller bought the land from two local native chiefs and within only two years it was being farmed under land grants from the Amsterdam Chamber of the West India Company. Four farmers worked the land here until 1658 – Francois Fyn, Jonas Bronck (whose name became attached to the Bronx River and the borough of The Bronx), Laurens Duyts and Jan Alteras. The farmers did not fair extremely well in their two decades on the island. Laurens Duyts was ousted from the entire province for “selling his wife into immoral slavery and for gross immoralities committed by himself” and the last of these farms fell into default. The English wrested control over New Amsterdam from the Dutch in 1665, renaming it the City of New York. Two years later they took over the 107 acre Hog Island and occupied it until the end of the Revolutionary War. In 1668 British Governor Nicolls granted Captain John Manning a patent for the island. Upon Manning’s death on February 20, 1688 his step daughter inherited Hog Island. While she and her husband, Jacob Blackwell, were there the British used it to incarcerate American prisoners of war. By 1784 Blackwell’s sons, James and Jacob, had inherited the property which by now boasted “two small Dwelling Houses, a Barn, Bake and Fowl House, a Cyder Mill, a large orchard, stone quarries and running springs.” Twelve years later James Blackwell erected his clapboard farmhouse on what was now known as Blackwell’s Island. The 1796 home was simple and unassuming. The main house was two stories with a peaked roof punctuated by two dormers on either side. A single-story kitchen sat to one side. A simple bead board under the eaves, six-over-six windows with plain wooden frames and an unembellished doorway established the rural character of the building. A deep wooden porch running the length of the east side caught the breeze on hot summer days. 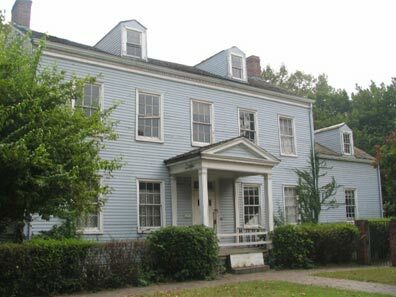 James Blackwell ran his farm until 1828 when the City of New York purchased the island for $32,500 as a site for desperately-needed institutions for the rapidly growing population. Before long the Smallpox Hospital, the Almshouse, a penitentiary and other public buildings were erected. In the meantime the Blackwell House was used to house wardens of the various facilities. At some point before the Civil War a simple, Greek Revival-style wooden pedimented porch was added to the west entrance. Another name change for the island came in 1921 when it became Welfare Island, and again in 1972 when it was renamed Roosevelt Island. By now the house had sat abandoned and derelict for years. 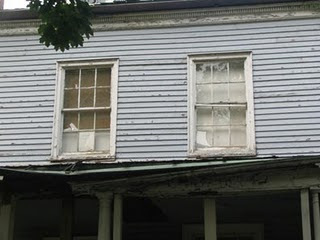 Porches rotted, windows were broken out and sashes smashed. Inside water, vermin and vandals were taking their toll. The New York State Urban Development Corporation instigated a survey of structures on Roosevelt Island – one of which, the Renwick-designed Smallpox Hospital had collapsed to a ruin out of sheer neglect. 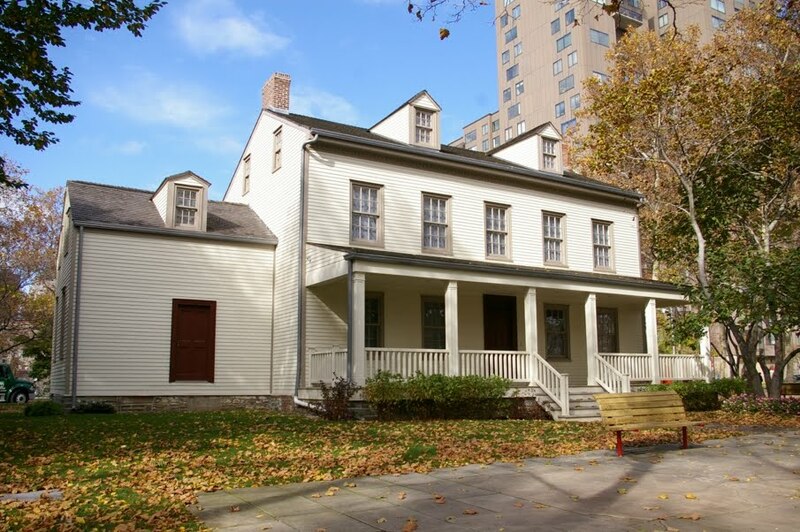 Architect Giorgio Cavaglieri was commissioned to completely restore the Blackwell House. Saved at the 11th hour, the house is now a community center and represents a fine example of 18th Century New York farm architecture.